Clark was born and raised in Austin, Texas where he sang gospel music in the choir as a young boy. In the early 1950s at age 14 he first learned the guitar, and then later experimented with blues and jazz on the bass guitar. By the early 1960s, he began attracting the attention of such Texas blues performers as Big Joe Turner, Albert Collins and Little Johnny Taylor. In the late 1960s, he joined the R&B Joe Tex Band, and left Austin, where he thought the R&B scene had died. By the early 1960s, he began attracting the attention of such Texas blues performers as Big Joe Turner, Albert Collins and Little Johnny Taylor. In the late 1960s, he joined the R&B Joe Tex Band, and left Austin, where he thought the R&B scene had died. But during a tour with the band back through Austin, Clark sat in on bass with younger Austin locals Jimmie Vaughan and Paul Ray at an East Austin club. After the session playing with Vaughan and Ray, Clark changed his mind about Austin. He left Joe Tex two weeks later and moved back to Austin, where he then remained to guide and inspire numerous Austin musicians and lay the foundation of the prolific Austin blues and rock scene of the 1970s and later. In the early 1970s, Clark formed an Austin blues quintet named Triple Threat Revue, with members Stevie Ray Vaughan and Lou Ann Barton. He also formed several bands with various names, which also included as members Jimmie Vaughan and Angela Strehli. 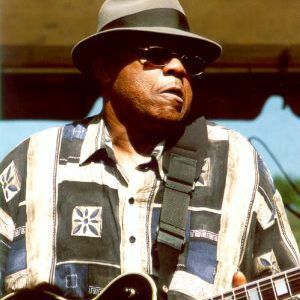 In 1975, Clark formed the W. C. Clark Blues Revue. Through the 1980s that band played venues with international greats such as James Brown, B.B. King, Albert King, Freddy King, Sam and Dave, Elvin Bishop and Bobby Blue Bland.